Wouldn’t it be nice to to have an expert digital marketer provide an SEO audit that will actually help you clearly understand what you need to do, how you need to do it, and what resources you’ll need to make your company website perform better? We’re here to tell you that such an audit can be found, but it’s not always easy. The truth is that there are more companies and “experts” online offering some form of an SEO audit than there are websites online selling shoes. This isn’t necessarily a bad thing since it puts a website/business owner in a position to be very selective and particular in the type of audit they want, and how much they want to pay for it. One of the most common mistakes made when someone is trying to improve their SEO presence online is to ignore or not even consider any technical or user experience issues that the website might be struggling with. Not only are there serious technical issues that could be hurting the website and preventing it from ranking on page one of your favorite search engine, but more important than that is how users can or cannot interact with your website. Once someone visits your website, most of the time you have one opportunity to impress them and keep them interested. Visiting a website and the navigation isn’t working properly, the text is too hard to read, the overall layout and design is confusing or not appealing to the eye, or the content is hard to follow, etc… if and when this happens its very likely that the visitor who found your website in the SERPs won’t return to it in the future. Even if they do, once they arrive to your site and remember the experience from their previous visit, they will immediately leave… aka bounce. Having visitors that bounce, thus increasing the bounce rate, will ultimately result in the search engine algorithm realizing that their organic searchers do not like your site for the keyword you ranked for… and as a result your SERP listing will be pushed down; whether you like it or think it’s fair or not. This is probably the most ignored and under appreciated aspect of a SEO audit that many companies do not offer. Sure… anyone that provides this type of audit can search for your favorite/target keyword and say “Example-CompetitorA.com is ranking better thank you for this keyword and you really need a SEO campaign in place to compete with them!” That’s not the type of analysis we’re suggesting. Instead, one of the most important and often times most impactful element of an audit for your search engine marketing campaign is one that identifies your most successful competitors and then analyzing why they are doing so well. From there you in almost every case have a complete understanding of what needs to be done in order for you to compete against them in the SERPs. Without this type of analysis, a website audit that compares your website against “industry” best practices won’t be very helpful or impactful at all. Trust us… we’ve been doing this for more than 15 years; and to be honest… it’s really common sense. 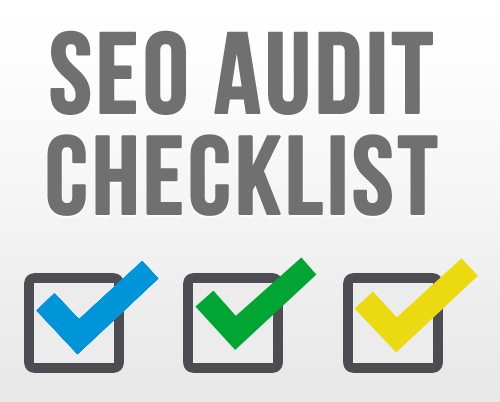 Another identifying mark that you’ll want to see in an SEO audit are areas needing improvement with specific action items and takeaways that will serve as the next steps for you, your marketing team, or possibly the vendor that provided you with the audit. There is nothing like someone telling you that something you own isn’t functioning properly, and vaguely say why… but cannot explain exactly what the issues are and how to fix them. Sure in some cases the company/individual that provided the audit may not always be able to provide you with a solution, but some of the most useful information is often found in the details that highlight specific areas of your website and/or current marketing strategy that need the most help. For many people, when they received “bad news”… not only can it leave them feeling defeated, but also it makes them either lose any momentum or optimism they may have towards their marketing campaign. In an effort to prevent this from happening in your case, no matter how bad your present situation might be for your particular website and SEO campaign you’ll need to get put in place… make sure that you understand the projected areas for growth. Having a clear understanding of what the possibilities are can easily turn a doubter into a motivated believer. Hopefully the 4 areas described above can help you appreciate that all SEO and website audit services are not created equal, and truthfully it’s going to be hard to find someone that will do this type of analysis for you for free. That doesn’t mean that you shouldn’t try to get your hands on a free audit if you don’t have the budget or belief that you should pay for one. Instead you could try to find different companies that will perform one of the above for free, but that might not translate to having a comprehensive analysis that clearly defines what your next steps should be to improve your SEO marketing campaign. If you have more questions about anything mentioned above, you want more details about website and technical audits, or anything else… please don’t hesitate to reach out to us. Nomvo!